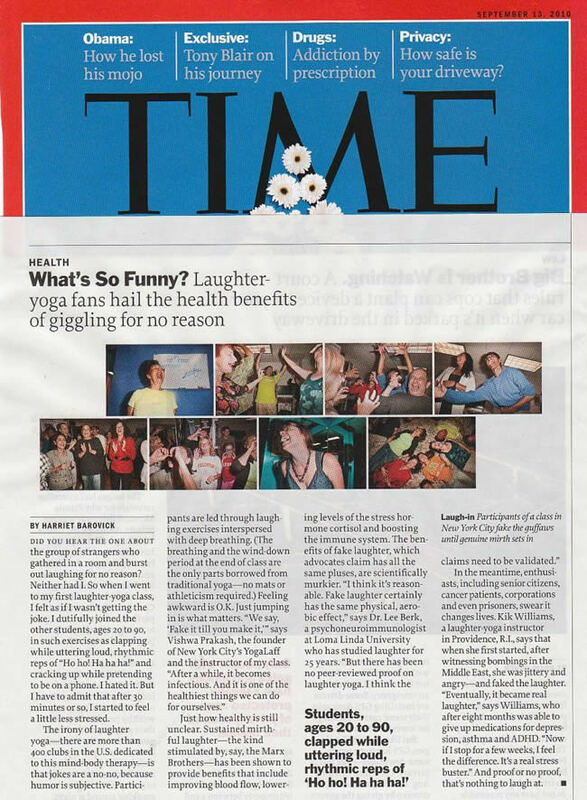 This entry was posted in Laughter News and tagged health benefits, laughter yoga, time magazine on September 10, 2010 by Sebastien Gendry. Two women are planning to set up laughter clubs in Zimbabwe, one of the world’s most challenging economies. This entry was posted in Laughter News and tagged courage, demic, desperate situation, empty pockets, funny, funny faces, health, health benefits, heart, hearty laughter, Humour, laugh, laughter, laughter club, laughter clubs, laughteryoga, lymphatic system, merriment, mirth, peace, peace to the world, quiet anticipation, release stress, sense of humour, unity government, world laughter, zimbabwean dollar on May 26, 2010 by Sebastien Gendry. Jean-Lee Fung reports that there are now over 110 Laughter Yoga professionals in Borneo (Indonesia). “The impact of laughter is so profound that many practitioners claim they no longer need anti-depressants. The sustained positive emotions keep them coming back for more.” Lee said many participants had reported a significant health improvement with a reduction in the frequency of respiratory infections like common cold and flu while some even claimed of overcoming depression, relief or cure from chronic medical problems. This entry was posted in Laughter News and tagged anti depressants, common cold and flu, depression relief, health benefits, health improvement, overcoming depression, respiratory infections, significant health on May 14, 2010 by Sebastien Gendry. They say laughter is the best medicine. Combine that with the health benefits of yoga and you have a unique form of exercise that is no laughing matter. An exercise studio in Charlottesville’s ACAC Fitness Center (Virginia) was transformed into a laugh factory Friday. This entry was posted in Laughter News and tagged health benefits, jokes, laugh factory, laughing matter, laughter clubs, laughter is the best medicine, laughter yoga, medical benefits, punch lines on March 10, 2010 by Sebastien Gendry.